*Note: This is a review of the second book in a series. If you have not read the first book I suggest reading my review of Red Rising instead to avoid spoilers. This review contains major spoilers for Red Rising, but not for Golden Son. Synopsis: The mines of Mars are an unforgiving place. There the “Reds” labor believing their work is critical to both humanity’s survival and the process of making Mars habitable. Never realizing the Martian surface was settled centuries ago and humanity’s population has never been higher. This was Darrow’s childhood. After successfully infiltrating the “Gold” upper class Darrow might just have the chance to spark the revolution to help free his people. Darrow’s plan to destroy the upper class from within is challenged more and more each day. Not just by Darrow’s enemies who long for his death, but by Gold friends who make him question his hatred of the upper class as well. It’s up to Darrow to decide whether he is after retribution or freedom from oppression. Review: Resuming four years after Red Rising started, Golden takes the conflict and world building in this series to a new level. The first book took place entirely on Mars, but most of this one takes place primarily in outer space. The change in setting gave me an idea of the true scope of this society that I lacked in Red Rising. It also made the book feel less like a dystopian and more like a space opera even as the story-line focused more on the rebellion. I’m not the biggest fan of dystopian novels at the moment so I appreciated the new direction. Darrow’s character development takes an interesting turn in this book. In Red Rising Darrow consistently did some pretty remarkable things and the only time he really failed at anything was his dual with Cassius. Golden Son begins with Darrow failing epically. The way Darrow dealt with and eventually learns from his defeat adds interesting depth to his character arc. Time jumps aren’t something I usually enjoy in fiction, but I understand why this one was necessary. Darrow’s life training with a razor and learning to command space ships wasn’t really relevant to the rebellion and everything Darrow is trying to accomplish. In an interview Pierce Brown stated that the reason for the time jump had to do with the fact that the story was written in first person and the time jump was to get to the next time period in which Darrow could narrate. While many books have the narrators learn skills in ridiculously short periods of time in order to avoid these time jumps I’m inclined to agree with the author here and say this one was for the best. I really appreciate how well developed side characters in this series are. It’s very clear most, if not all of them each has his or her own motivations, goals, and schemes. I especially liked how the characters who learned Darrow’s true identity in this book each reacted very differently. So many books brush over reveal scenes, and have characters accept one another’s huge secrets without much skepticism or negative consequences. There isn’t much to say on this topic without getting into major spoilers, but let’s just say Golden Son had some realistic character reactions in this regard. 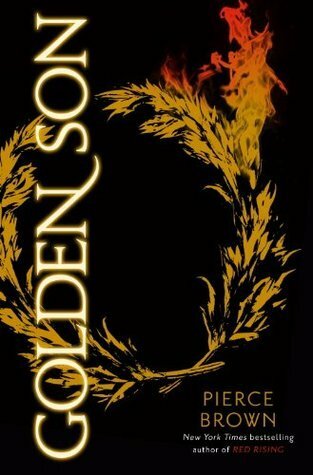 Golden Son is well paced. I started this one directly after finishing Red Rising and had a lot of trouble putting it down to do things between sittings. This is especially true of the last hundred pages or so which were particularly difficult to put down. What readers should know: The first book was somewhere on the hazy edge of young adult, adult, and new adult where I just couldn’t decide on an intended audience. In Golden Son Darrow is 20 and though this book probably has less potentially inappropriate content than the first book it is most definitely not young adult anymore. That said, if a person was able to handle the content in the first book they should be able to handle this one. Rating: This book resolved the minor problems I had with Red Rising and earned a five out of five rating for its excellent side characters, good pacing, and great world building. If you’ve read Red Rising I highly recommend continuing with the series. If you don’t know what the booktube-a-thon was see the twitter account or Youtube channel. 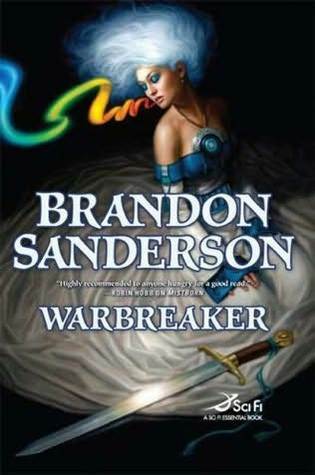 I know I was going to try to read Warbreaker without letting go of it by just carrying my phone everywhere and complete the challenge of not putting a book down by reading Warbreaker as an ebook. The problem is that unlike with a physical book you don’t need to hold it open so I ended up reading the book without touching it and didn’t realize until later what I had done. I read The Martian during the first two days of the event and Warbreaker during the fourth and fifth. After finishing Warbreaker I tried to start reading Paper Towns, but it just didn’t hold my interest and I ended up spending the next two days rereading portions of Words of Radiance to try and find all the Warbreaker references I heard were in the book. 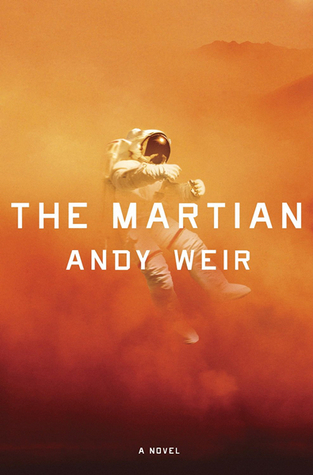 The Martian was 369 pages long and Warbreaker was 688 pages long which adds to a total of 1057 pages. The portions of Words of Radiance I read were out of order so there is no way to add it to my page count, but as Words of Radiance is over 1000 pages I probably read at least 25 trying to find what I was looking for. If you participated how much did you read? I’d love to hear about it in the comments below. This is really late because the event has already started, but I wasn’t originally planning to participate. This is my first read-a-thon type event, and I’m probably going to be pretty busy, but I will try to read as much as possible anyway. If you don’t know what the Book-Tube-A-Thon is you can read up about it on the Twitter or Youtube account. I’ve already started trying to read this book twice only not to finish it. 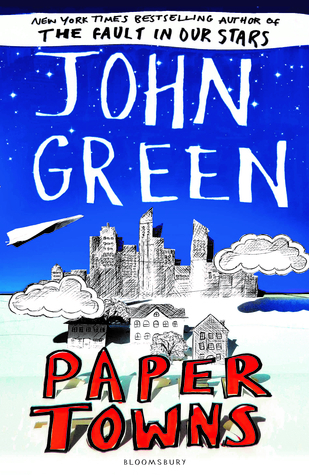 (Please don’t rage John Green fans, contemporary just isn’t my genre!) With the movie I kind of want to read it though. I doubt I’ll finish after so many false starts, but the book is short, so I’ll give it a try. I don’t share my last name on the internet so I’ll be reading something by an author who shares the first letter of my first name (J) instead. This is my one of my family member’s favorite sci-fi books. I want to read this before school starts back up because once I start Sanderson books I can’t seem to stop reading so what better time to read it than now? Considering that I’ll also be critiquing chapters for some writing friends of mine (critiques are very time consuming) and a book over 600 pages long in the mix (Warbreaker) I highly doubt this will be happen, but I will read as much as possible.